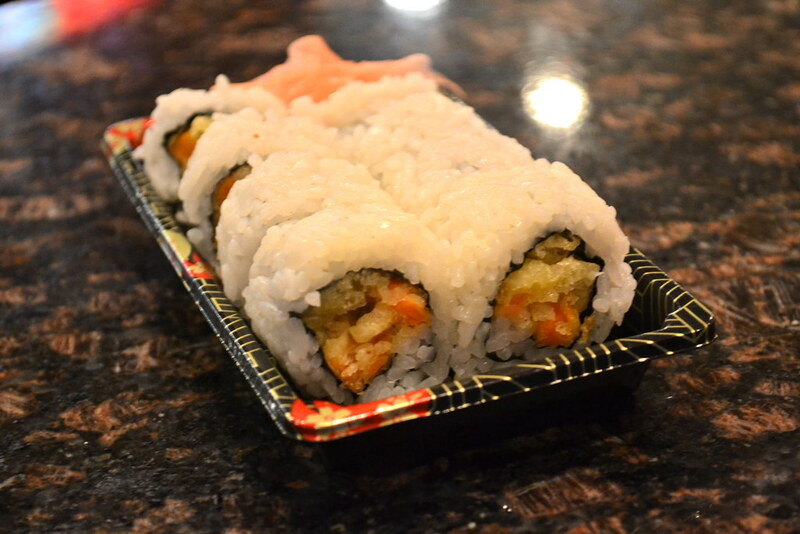 You can choose whatever veggies, toppings and meat you want in your roll. These can range from pickled radish and English cucumber to roasted chicken and Bulgogi steak. Or if you’re not about making decisions, they have an awesome menu with a mix of classic and creative treats that will definitely please those little tasters. The restaurant’s set up like a Subway where you can actually watch it be made right in front of you in less than five minutes. (“Yo, you didn’t put enough avocado!”) It’s basically Jimmy J’s for sushi. 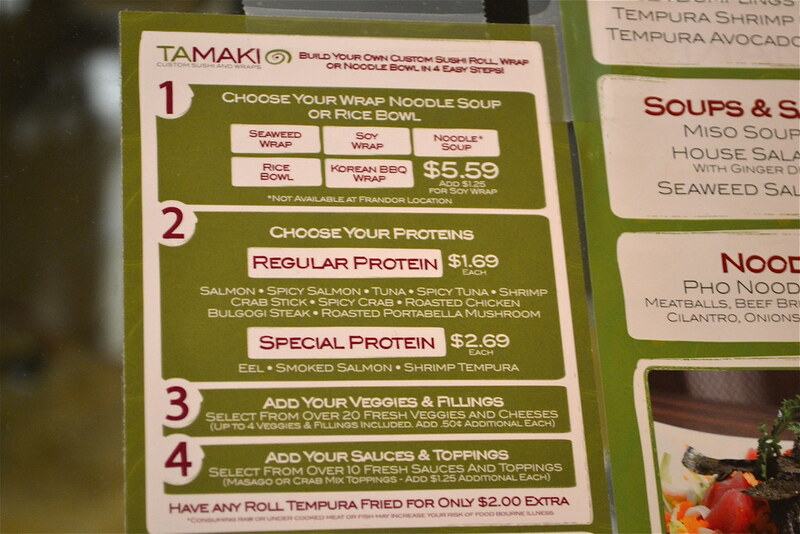 Incredible prices ranging from a Miso Soup at $1.75 to a Double Cheeseburger roll at $7.95. I dig it. And the Double Cheeseburger. The menu’s pretty small, mainly since the place caters towards your own custom creations. Pro or con? You decide. There’s not much of a lively atmosphere, but that’s probably ’cause it just opened. Give it some time though and I’m sure it’ll be bursting. Overall, I really dig the concept behind the restaurant’s setup and hope that it’ll become a fun, easy spot for sushi-goers in the long run. The flavor profile could have been a bit stronger, but with such low prices, it’s hard to complain. Definitely solid if you’re looking for a quick bite to eat between classes. Don’t take my word for it though. Here’s to your fun sushi creations and to hopefully running into you!